The Kansas legislature is considering a bill that would make surrogate parents, gestational carriers, and anyone who assists them liable to up to a $10,000 fine or imprisonment of one year. But despite what some supporters of the legislation may say, criminalizing freely chosen reproductive actions is not part of the feminist project. Criminalizing freely chosen reproductive actions is not part of the feminist project. This January, the Kansas Senate Public Health and Welfare Committee held a hearing on a bill that would make surrogate parents, gestational carriers, and anyone who assists them liable to up to a $10,000 fine or imprisonment of one year. After the controversial hearing, the senate president and vice president, both conservative Republicans, issued statements clarifying their opposition to the measure. Two women came from the coasts to testify in favor of SB 302: Jennifer Lahl from California and Kathleen Sloan from Connecticut. Lahl is a filmmaker who has made it her life’s mission not just to stop surrogacy but also more common forms of fertility treatments, including sperm donation. She also opposes stem-cell research. In short, Lahl is anti-choice. In addition to testifying against surrogacy in Kansas, she keynoted a Georgia Right to Life fundraising dinner and spoke at this year’s annual Cardinal O’Connor Conference on Life, which takes place at Georgetown University just before the annual March for Life. In any case, it’s important to debunk the idea that criminalizing surrogacy should be part of the feminist project. The assault on surrogacy, as well as fertility treatments in general, is yet another piece of the right’s battle against reproductive self-determination. Sloan and Lahl make a paternalistic case for why those who use assisted reproductive technology to conceive a child should face jail time. “First and foremost, surrogacy commodifies women and their bodies,” they said in a recent opinion piece in the St. Paul Pioneer Press opposing two Minnesota bills that would regulate surrogacy in the state. Does this argument sound familiar? Anti-choice advocates love to claim that women must be protected from their own reproductive decision-making so as not to be “used” by men or others. It’s an argument that falls flat. You can’t claim that freedom comes from restricting freedom. In particular, freedom for a less privileged group will not be increased by having the state impose more restrictions upon them. In her testimony before the Kansas committee, Sloan also raised concern that women who participate in surrogacy have “inadequate ‘informed’ consent” about what they may be doing. Once again, the argument is extremely paternalistic and assumes that women need guidance—often including anti-choice ideology—from the state in order to make decisions about the most intimate aspects of their lives. Indeed, we’ve heard this “right to know” song and dance before. It has led to 35 states requiring women to receive counseling before an abortion is performed, a third of which cite one of the most scientifically unsound talking points from the anti-choice choir book: that fetuses can supposedly feel pain. In making what she believes is a women’s rights case for the criminalization of surrogacy, Sloan also expressed concern in her testimony that associated medical treatments, including in vitro fertilization (IVF), may harm women. While women who use IVF to conceive a child rarely report it was easy, they often say the outcome of having children was worth it—far from what an outside observer could properly classify as harm. Further, the testimony painted a disempowering picture of those who freely choose to help another family have a child. “Surrogacy exploits poor, low-income, and otherwise financially vulnerable women,” she said in her testimony. She called women who might carry surrogate pregnancies to term “sitting ducks for exploitation and fraud.” This rhetoric insults women who serve as gestational carriers by portraying them as people who have no agency. Nothing is more sacred than this right to fundamental self-determination, and it’s distressing to see the aegis of feminism applied to an extremely anti-choice effort to restrict reproductive rights. 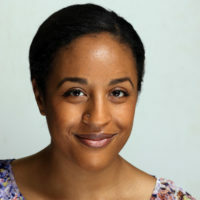 Sloan may be using her affiliations with women’s organizations to claim that surrogacy must be stopped, and it’s no question that Lahl benefits greatly by having a partner like her, but we must be clear that criminalizing freely chosen reproductive actions is not part of the feminist project, even if two people claim women will be exploited if we don’t. Women don’t need to be protected from themselves. They certainly don’t need to be thrown in jail for harvesting their eggs or seeking assistance with infertility. Indeed, family is what you make it. That’s a beautiful thing, and that’s feminist.